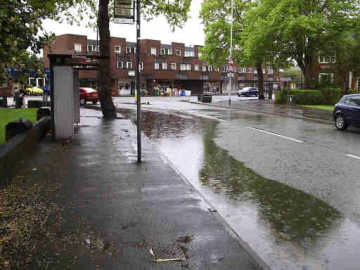 May 2006 : It has been said on many occasions that when it comes to services from Stockport Council, drainage is not one of Romiley's strengths, as this view (left) of the bus stop at the bottom of Sandy Lane shows. 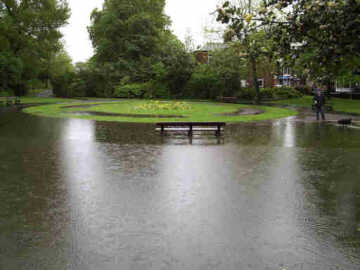 Turning 90 degrees to the left gave this view (right) of Romiley park (a.k.a. Romiley reservoir). 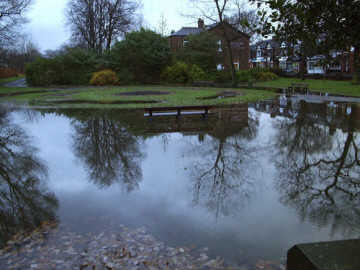 The wider picture at the bottom of this group shows the flood from the Compstall Road side of the park. 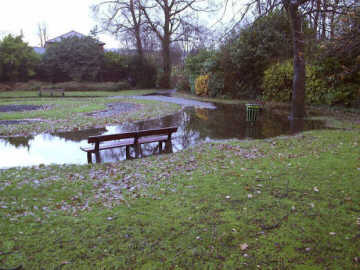 December 2006 : The pictures were taken at about three o'clock in the afternoon after a lengthy period of rain. 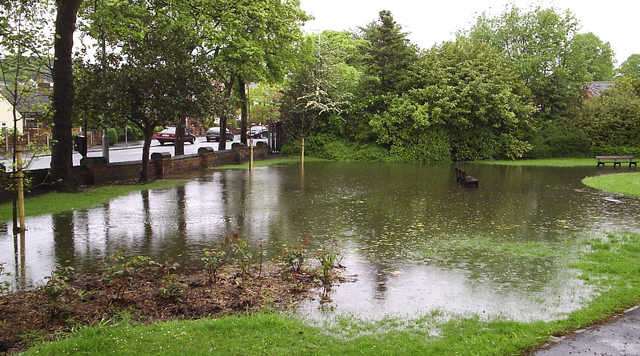 Drainage still isn't one of Romiley's strong points!